Your Dream Job – What does it really look like? 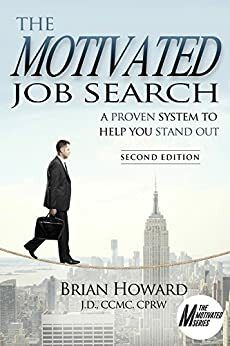 | The Motivated Job Search The Motivated Job Search – Your Dream Job – What does it really look like? In the real world of employment, a truly perfect job doesn’t exist. If jobs were perfect, people would stay in the same job their entire lives. That’s simply not realistic. But that doesn’t mean you shouldn’t dream about that perfect job. The key is to be realistic about what is “perfect.” There will always be duties and responsibilities that come with every job that are not pleasant. So, what does a perfect job really look like? The following is one way to evaluate whether you have found that “perfect” job. Start by creating a list of all of the characteristics of your perfect job. Write everything down. Brainstorm. Then, go through the list and determine those characteristics that you “must-have,” those that would be “nice-to-have,” and eliminate those that you can live without. Be practical and reasonable with your list of characteristics. Now, give yourself 100 points and assign them to your “must-haves.” This will help you rank those must-haves by importance to you. This approach might reveal that some must-haves could fall back into the nice-to-have column. It’s an exercise to test the reality of what is truly important to you. As you evaluate new opportunities, how does it stack up against your list? If you can get all or the majority of your must-haves, the opportunity is clearly worth your consideration. By the way, this is a good exercise if you are currently employed, too! In some cases, you might discover that your current situation, though not ideal, is a good situation to stay in. In other words, the grass might not be greener on the other side of the fence.